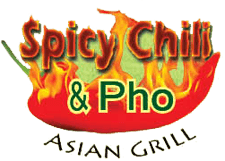 Online ordering menu for Spicy Chili Pho Asian Grill. We are located in the Chambers Point Shopping Center. We offer Chinese, Thai, and Vietnamese food. We also offer Vegetarian options!